UPDATED: P&G PREVIEW IS BELOW! Sunday Coupon Preview Regional coupon inserts & value differences are to be expected! P&G Insert Coupons (Expire 3/31/13) Most Coupons will be ETS. Did you know you can Print Coupons right from this site, and it is completely Free? Click here to Print Coupons. Who doesn’t love free samples? I love opening up my mailbox & finding a little “gift” waiting for me. Today I got a samplebox full of samples & coupons. I received samples of Secret Clinical Strength deodrant, Wisk laundry soap, Coffee mate (2), Nonni’s Biscotti & Gum soft picks (with coupon). If you would like to receive samples like these go to www.mysampleshowcase.com & sign up. Both require you to sign up so I suggest setting up an additional email account just for freebies & sweepstakes. Where do you find samples? There will be 2 inserts this week. One Smart Source & 1 Red Plum. Remember inserts vary by region & these are not guaranteed. Happy Couponing! These SHOULD be available to you in your Smart Source. This week there will be only 1 Smart source insert due to Mothers Day. Here is a sample of the coupons that should be included. Have a happy Mother’s Day & happy Couponing! So yall know how I love Winn Dixie. It wasn’t always like this. Sometimes prices are higher than Wal-Mart. BUT if you combine sale prices with coupons they beat Walmart every time. This is where stock piling come in. 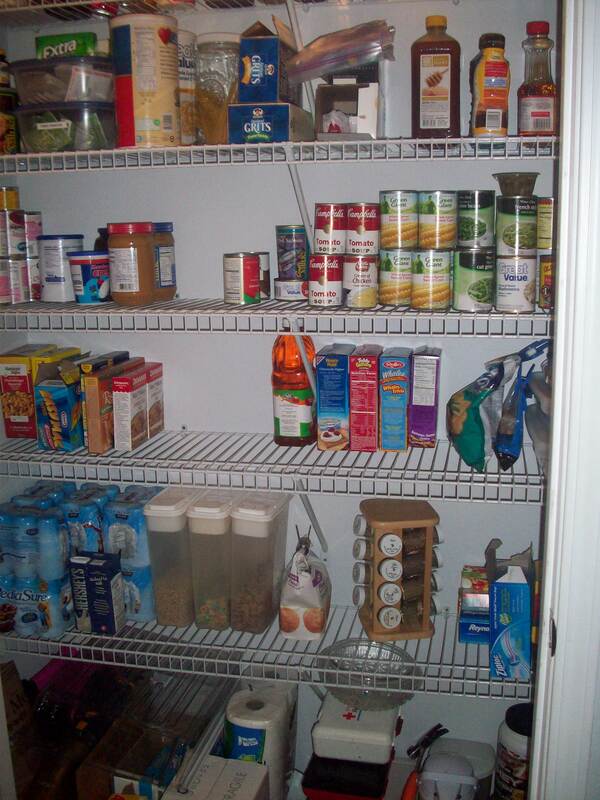 I buy just the good deals & pull the rest of my need items from my stocked pantry. This along with menu planning has really helped our food budget. I also meal plan differently. Instead of deciding what we are going to eat then shopping I look at the sale papers & let that dictate what dishes we will be eating. For example today they had rump roast B1G1. Pork chops were the same. So tonight we had grilled pork chops. We also had baked potatoes (on sale last week) and because corn was $0.20 an ear we also had grilled corn. I was able to grill everything so that saved on electricity. I was also able to use my rain checks from last week. THAT was useful let me tell you. Butter was my main saver. Normally I get butter (not margarine) from where ever is cheapest which is sometimes Wal-mart for $3 a lb. WD brand is normally $3.50. Last week however they had Land O Lakes for $2.50. Great deal as butter seems to be on the upswing nationally. When I went last Monday night they were out but I got a rain check for 6 packages. I went today and normally they are $4.29. Thats a savings of $1.79 lb or $10.74 for all 6. That my friends is a good deal. Even at Wal-marts cheapest price of $3 I still saved a total of $3. So do you see how stockpiling & using sales can make some places cheaper than others? I still shop at Wal-mart for some things. I am just more careful about where I get all my items from. Get $2 RRsFREE after RRs! Here is a sample of what is going to be available. These coupons are redeemable at Target stores. I am so sorry I did not post this yesterday. It was CRAZY yesterday. But anyway….there are FOUR yes FOUR inserts in today’s paper. There are 2 Redplum & 2 Smartsource inserts. For a full list please click here. Below are some that I am looking forward to. Don’t forget if there are a bunch that you plan to use try to get 1 or 2 extra papers & build your stockpile. Good luck. BTW even though I don’t need them I wanted to make sure you know there are HUGGIES coupons available in the paper.